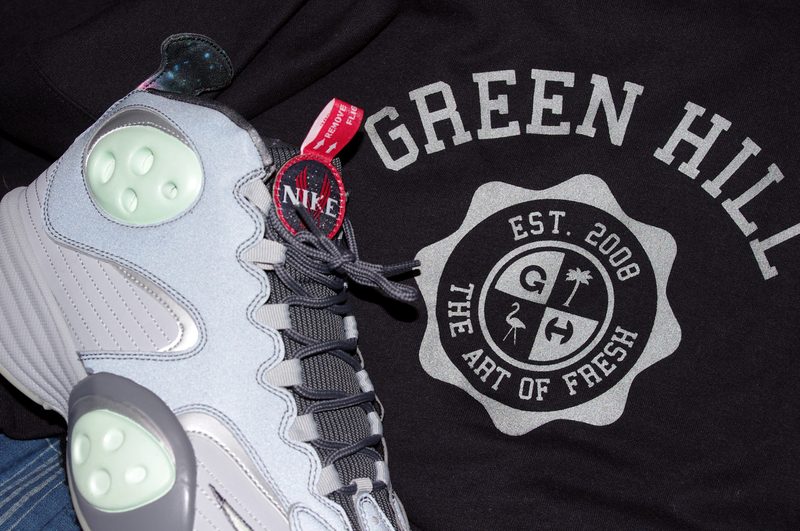 A few weeks ago during the NBA all star week, special Nike shoes were released under the theme of Space Exploration. 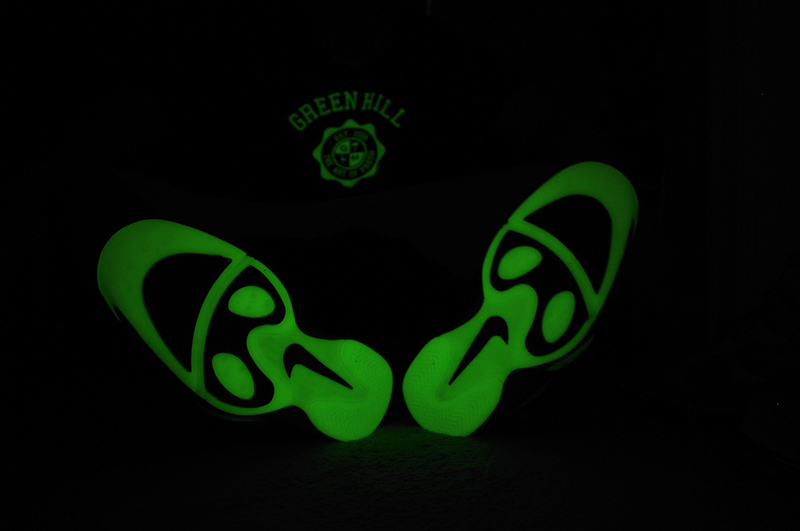 Many of the shoes glow in the dark like the now historic Galaxy Foamposites along with Lebron 9’s, Zoom KD IV, Kobe VII & the Air Flight One NRG. 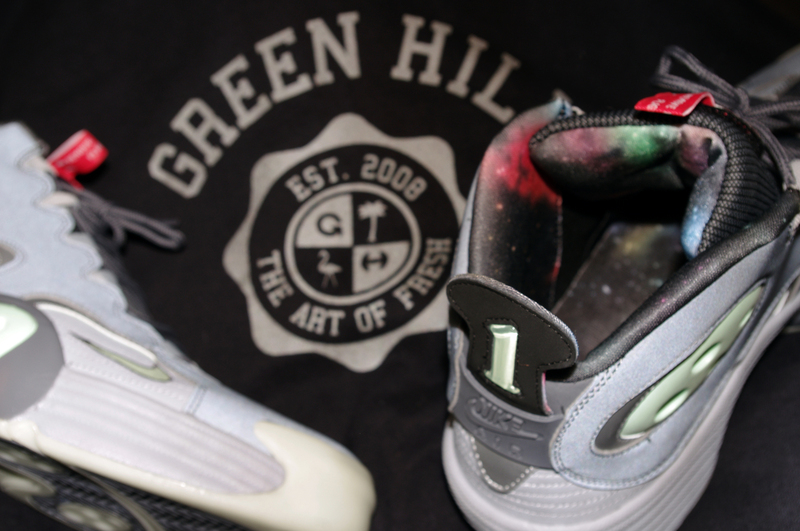 We have a few goods that also glow in the dark so this was the perfect opportunity to take photos of the Air Flight One NRG & The Freshest Seal (Charcoal&Glower). 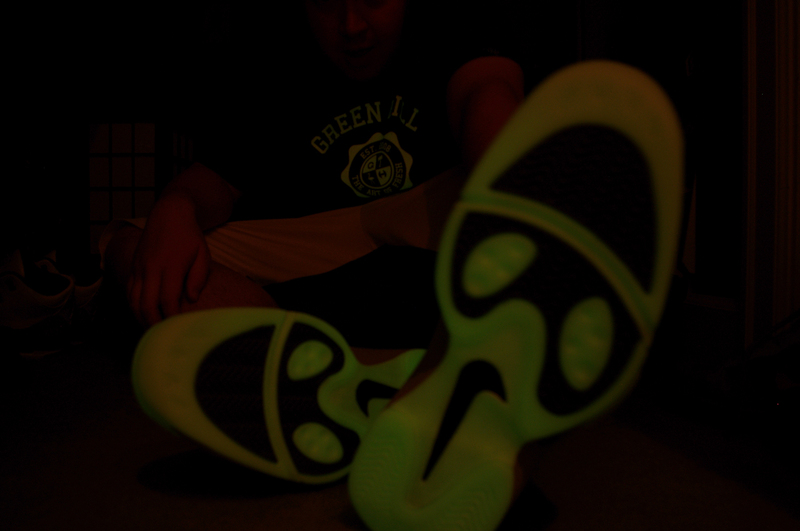 Not only do the Air Flight One NRG’s Glow in the dark, they also include 3M so when flash is taken with photo’s they will appear shiner than regular. We have another Freshest Seal design, & this crewneck is made with the shiny 3M material also. 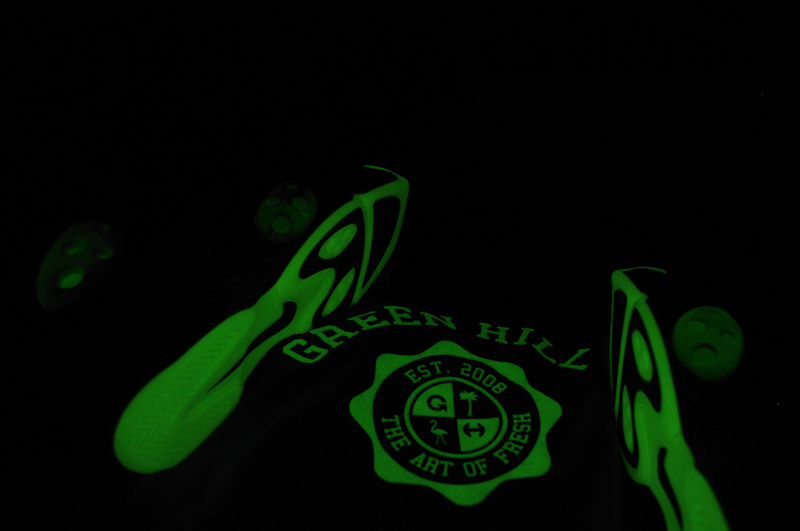 This coming summer, expect more goods that Glow in the dark & ones with 3M included.